The brightest young thinkers from across Victoria will be showcased in Top Arts 2019, opening tomorrow Friday 22 March at NGV Australia, Federation Square. Celebrating its 25th anniversary at NGV, this year’s Top Arts exhibition presents a diverse range of works that tackle the issues facing young Australians today. Highlights include Aretha Brown’s Time is on our side, you Mob, 2018, a self-portrait exploring the impact of intergenerational trauma of the Stolen Generation on her life as a young Indigenous woman;Little raccoon, 2018, a digital portrait of a young man by Kristy Fedoro, which serves as a love letter to nostalgia and mischief; and Nicholas Gilbert’s STORM, 2018, a sculptural outfit of intertwining tubes mimicking a tornado, influenced by humanity’s hand in accelerating climate change. 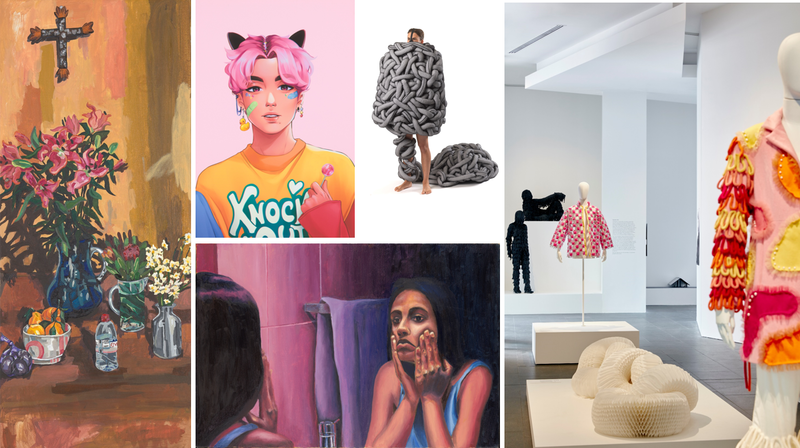 Top Arts 2019 is FREE and on display from 22 March 2019 – 14 July 2019 at the Ian Potter Centre: NGV Australia at Federation Square.